To construct a circle, you will need a compass and a ruler or straightedge. A chord is a line segment that fits inside the circle. Here are the steps to find the center of a circle. Draw two separate chords inside the circle. It works best if they are not parallel. Repeat steps 2-5 for the other chord as well. The point where these two perpendicular bisectors intersect is the center of the circle. To circumscribe is when you draw a circle around a figure enclosing it while touching all sides of vertices of the figure. Here are the steps to circumscribe a circle around a rectangle. 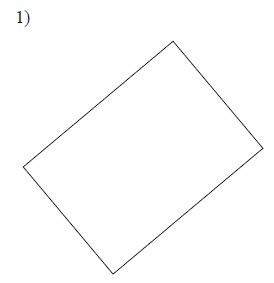 Find the center of the rectangle by drawing both diagonals. The place where they intersect is the center. This is also the center of your circle. Put the point of the compass on this center point and the pencil part on one of the sides of the rectangle. 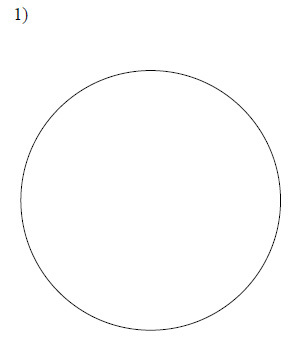 Being careful not to change the width of the compass, draw a circle. It should touch all sides of the rectangle and completely enclose it inside the circle. Inscribing is when you draw a circle inside a figure so that it touches all the sides or vertices of the figure. To inscribe a circle inside a triangle, you must know how to find the incenter. The incenter is where all three angle bisectors of the triangle intersect. Draw a small arc through the two sides of the angle. Remember to not change the width of the compass. Also without changing the width, place the point of the compass at the intersection of the arc and the side of the angle. 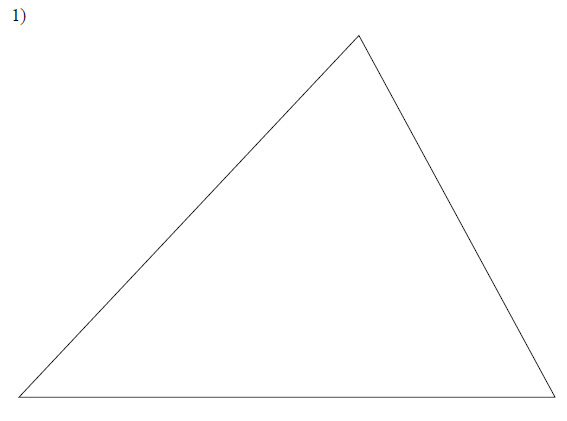 Draw a new arc in the interior of the triangle. Repeat this for the other side of the angle. The arcs should intersect in the interior of the triangle. Using a ruler or straightedge, connect the intersection of the interior arcs and the vertex of the angle. This is your angle bisector. Do this again for a different vertex. Locate the center of each circle. Circumscribe a circle about each rectangle.